Big places need big solutions. Take the roads of California. Endless, sprawling. Plenty of space for problems to develop. And they do, daily, even hourly. Occasionally by the minute. There’s no limit to the chaos awaiting the unprepared on the state’s streets and boulevards. Which is why effective California traffic control is must. Exactly the kind provided by Roadway Construction Service (RCS). No compromises. No nonsense. Just solid, efficient, we’re-there-yesterday California traffic control services. In a way, RCS is in the nightmare-prevention business. Because state roads easily could become nightmares without effective California traffic control. It’s what keeps vehicles moving forward, despite the potential obstacles and interruptions. The alternative, of course, is miles and miles of snarls and snags. Plus all those frustrated phone calls explaining why you’ll be really, really late. Depending on who you’re talking to, this could involve considerable begging for forgiveness. Yeah, RCS keys really hard on vehicle flow. We have to. But the effort is only one part of our California traffic control services. Another crucial aspect is the human element. Pedestrians, motorists, and crews all must be protected from potential hazards. That’s where flaggers come in. RCS traffic control flaggers are experts when it comes to ensuring the safety of motorists and pedestrians (including bicyclists). Primarily, they do it with hand signals and signs that direct pedestrian flow to safe detours. Word to the wise – don’t ignore flaggers, particularly if you’re a pedestrian. Go where they say, even if it means a longer trip. It’ll be a much safer trip. RCS California traffic control also covers worker safety. If you’re a motorist, pay close attention to the signs, cones, and the other visible protective measures. Doing so substantially minimizes the hazards facing work crews. Not all heroes are on the front lines. Sometimes they may be found behind the scenes. Take RCS traffic control planners. True, they’re not hunkered down in the trenches. Nevertheless, these well-trained experts play a crucial role in the success of all California traffic control efforts. What’s on the planner to-do list? Their duties include performing in-depth evaluations of work zones, assessing conditions and potential hazards, making recommendations, interacting with government and business officials, and coordinating the acquisition of necessary permits. Coffee break … what’s that? 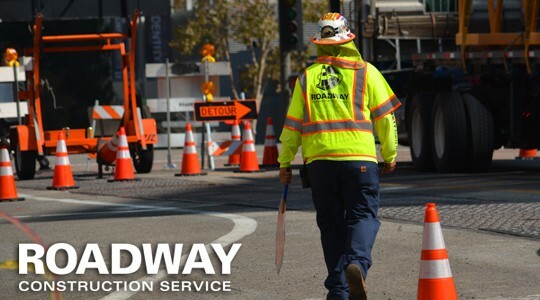 Built on years of experience and a commitment to safety, expert California traffic control is the hallmark RCS. If you’re interested in learning more about our proven solutions, contact RCS today. You’ll discover why we’re the go-to traffic control service in Los Angeles, Orange County, and all of Southern California.